Minimum 2 members and maximum 15 members in 1 group. Each candidate can join maximum 1 category as a soloist, and 1 group or maximum 2 groups but is not allowed to join 2 number solos in the same category. We will not accept any performances that longer than allowed duration. There will be no refund of entry fees. Entry fee will only be refunded in the event of category cancellation. If for any reason, the applicant registration is denied by the organizer before the competition date, entry fees will be full refunded. Depend on the situation, in case can’t meet up the wish of the candidates for the Rehearsal, the Organizers’s decision will be the final one. – Professional: 16 years old Above, working as a teacher or dancers to get paid oftenly. Especially the dancers who absolutely live on the income from performing or teaching activity. 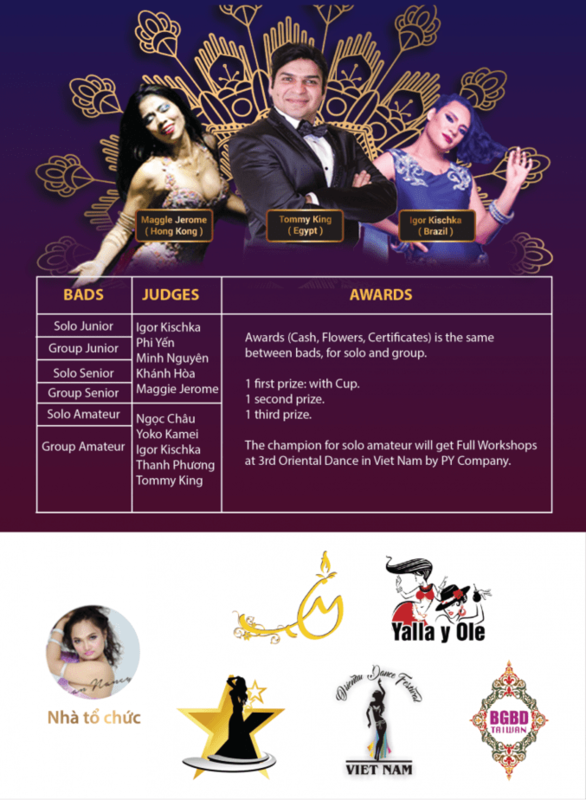 The professional dancers are not allowed to compete in amateur category but amateur dancers or candidates who are younger under 16 years old can register to compete in Professional category. 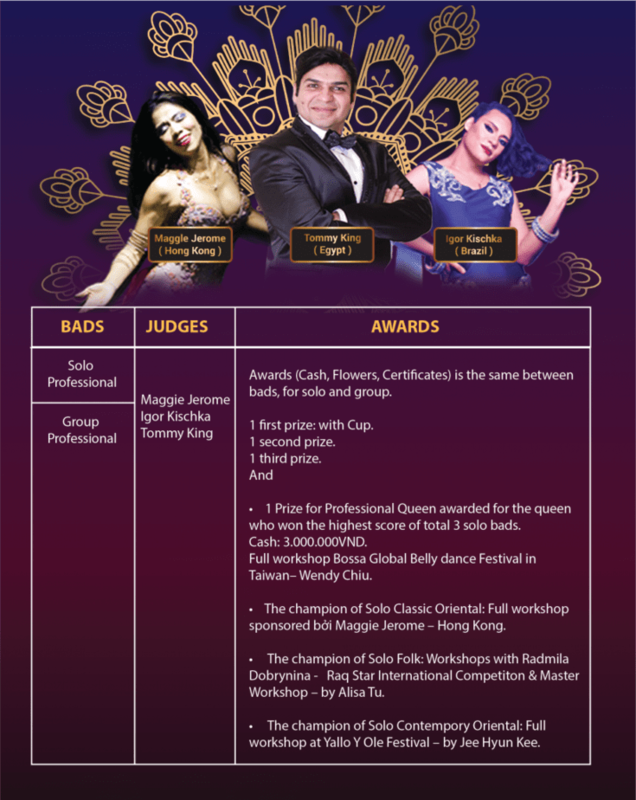 – The Champion of Professional solo of 3 dances in 2 continuous festivals will be invited to be the Judge of the Professional category, teach 1 workshop and Full workshop pass. – The Choreographer of the 6 performances that won the champion in 2 continuous seasons will be invited to be the Judge of the Professional Category, teach 1 workshop and 1 Full workshops pass. + Fusion: (The candidate needs to acclaim clearly which style that she fuses with. Not with Modern dance, contemporary dance). – *: If the candidate using her own choreography, she will be rewarded 1-3 marks more. 13. The organizers hold the rights to use image, name and performances of the candidates before, during and after the competition to run the Promotion for the Festival and the activities of the owner of the Festival without asking for permissions and paying any fees. Bring your identification card, proof of payment, reference numbers, release form and other relevant documents. 15. The candidates must be responsible for their own belongings. The decision for the Organizers will be the final decision.